After playing about with the moustaches fo a bit, and encouraging you to do the same, it became obvious the moustaches needed a structure to make them more fun to play with. Hence Tash TV. Now, obviously here are many examples of tellies, but you at home only need one. 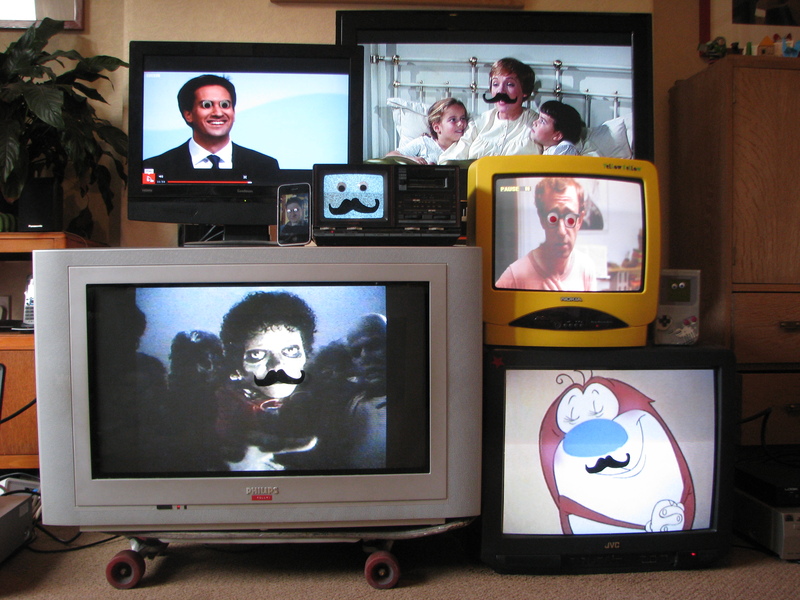 Simply place the moustaches onto the tv screen (plus your home made eyes) and wait for them to line up with someone’s face. easy. think of a point scoring system. Maybe the winner gets a sweet, or cup of tea made for them by an opposing player. You decide. Surely we all want the space around us to nurture us and make us feel welcome and at peace. Comfortability in our surroundings is hard as we are constantly bombarded by signs of financial troubles, inequality and consumerist greed. Life can seem hard at times, simply because we are not ‘at home’ in our environment. ‘At home’, in my mind, is a feeling of warmth, acceptance and also, to an extent, armour against the bad things in the world. Do we need to be constantly reminded of this? It seems like since 9/11, we have been encouraged to enjoy life a little less. The ‘war on terror’ involved us being put in a state of terror. What is so wrong with laughter and frivolity? We need to learn to laugh again. I know that may sound somewhat Marie Antoinette like. ‘Every little helps’ with removing that feeling that we have no control over our lives. Just as the Tescos marketing department have told us. Price reductions are nice, but it’s only money. By having a DIY kit, could we feel more control over our own destiny? As a concept, DIY can be empowering. Save money and possibly learn something? Orwell described us a “nation of shopkeepers”. Does this inbuilt resolve mean we all want to be in control? With small businesses struggling in the face of the multi- national giants, more of us now are in less control of our working lives. We are encouraged to see our employers as benevolent empires, enlightening our lives and lives of their customers. Most people would probably agree they work to live, not the other way round. (my Grandad sees it in much simpler terms, as those who live to eat, and those eat to live. He is definitely in the former category). Why should we show allegiance to our employer? My brother works for a major energy supplier, and changed to their (more expensive) utilities package out of loyalty. Is our freedom being eroded by global issues? We are being paid less in real terms (if we still have a job), being subject to searches and our public services have we been cut hard. How can we complain or make our voices heard without being counted as the ‘great unwashed’? Naomi Wolf’s concise and logical call to arms with regards the Occupy movement very eloquently points out that the 99% should stand together, without huge rhetoric, but with organisation as a movement against our civil liberties being curtailed and the erosion of what we, as a society have created. I personally don’t feel comfortable with mass demonstrations, after an embarrassing event at a student fees demo in London proved. Can things be done on a more local level​ as we have seen with the occupy movement; but without the seriousness and tents? Can small, personal interventions have as much of an impact as the Sheffield occupy franchise? After reading reactions on Sheffield forum to the protest, it does not appear to have a positive response. It seems they are tarred with the same brush as anti-establishment agitators. This is more than a case of apathy. We have been indoctrinated to leave politics to the ‘big boys’. The concept of self expression in a democracy has been eroded in the public mind. As a child, I attended several NUT marches through Leeds with my mother. I enjoyed wearing the badges and designing placards. But the chanting and camaraderie made me feel uncomfortable. I think it was the feeling of being forced into a group rhetoric, having to feel passion on demand ( a similar feeling to the student march). Emotions or passions that are demanded of me are not greeted with aplomb. This even goes for being asked to dance. I’ll dance when I feel like it OKAY? Even of it happens to be ten seconds later. All this is why being able to find my own way of subversion is appealing. Given the space and time to do it my way. DIY gives you that ability. The ability to choose how and when to take action. Kits take away a certain creative boundary; they start you off. As my friend Harry says, “getting out of the door is the hardest part”. This is said in context of running, but this can be true with ideas too. If the designer is the ‘ideas factory’, can that take away a stumbling block to beginning, whilst leaving a wide set of possibilities for the user? Just like Donna Wilson’s ‘make your own monster kits’, can you encourage people to act in dissent? Blue Peter has been a driving force in getting the viewing public who don’t consider themselves creative into making something to a loose script. Can this inbuilt crafting ability we all possess to a certain extent be translated into articulating our innate aggressor? Design by numbers could have a positive impact in helping us feel at home with acts, not of civil disobedience, but of ‘disagreement with established norms’. 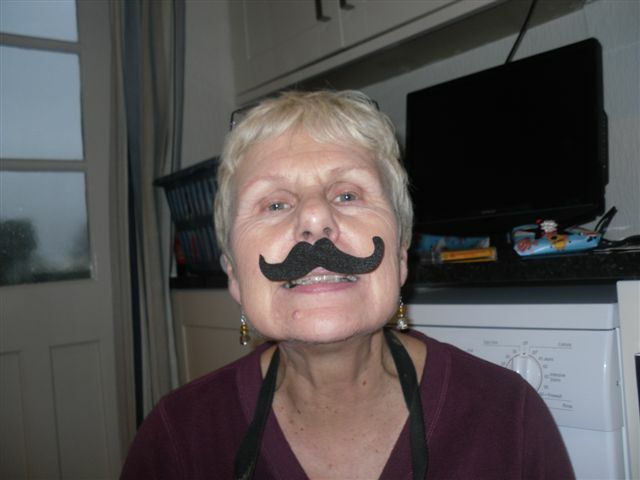 Could the humble moustache create a new movement, through light hearted humour? Anyone who has even been bored with a brio and a newspaper has encounter the urge to colour in a tooth black, or a draw a silly set of glasses or moustache on the front page. The question is, can this be converted to real, 3D moustaches being placed on large scale media domains in the public realm i.e. billboards and advertising signage? Jon Stewart’s ‘Rally to Restore Sanity’ in America showed that it is possible to get the population engaged, simply by appealing to their creativity. The placards were intelligent and witty, the opposite of the language used by U.S. media outlets and the Tea Party movement. As well as being unique for being made by individuals, can they not also be made site specifically? There would be no meaning to putting a black handlebar moustache on David Cameron, there would be no logical reason, but does that make it more fun? But scale and to an extent, colour must be taken into account. I am strongly against the use of iconography related to European dictators. This doesn’t bring any kind of intelligence or humour, it simply offends. Those who compare our political leaders to fascism are idiots. There is no parallel. Humour is at it’s most basic when used in those terms. 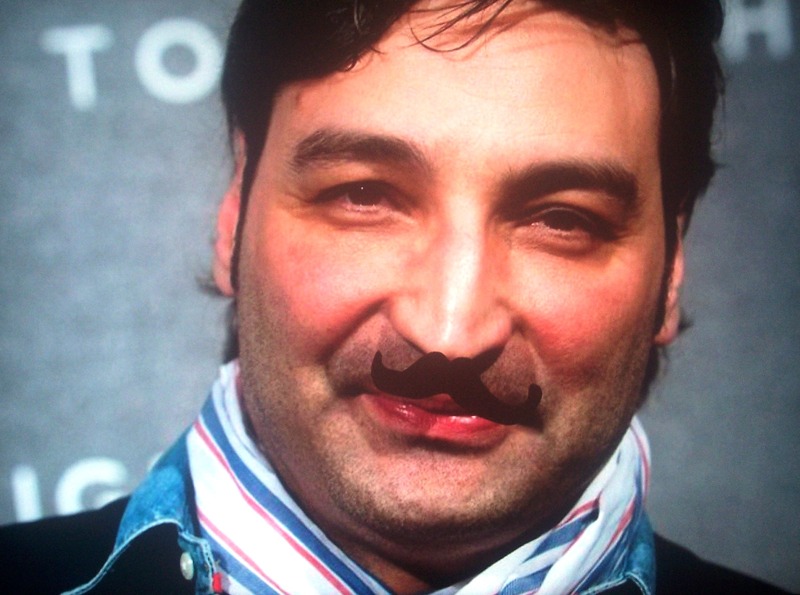 Can I stop people making Hitler moustaches? Of course not, but is that not part and parcel of creating something that the control is given to the user? 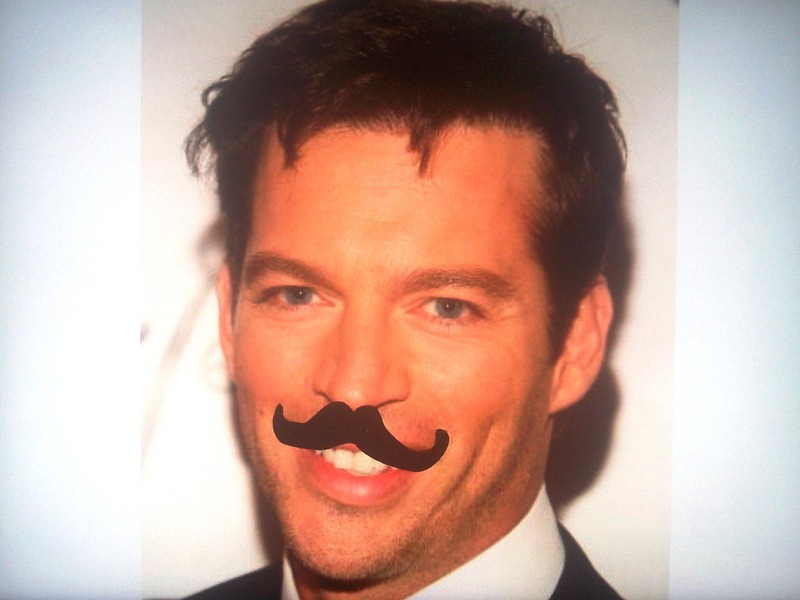 Moustaches are an out of date phenomena. Even the goatee has had it’s day. There is something comedically retro, along with pipe smoking and nylon bedsheets. 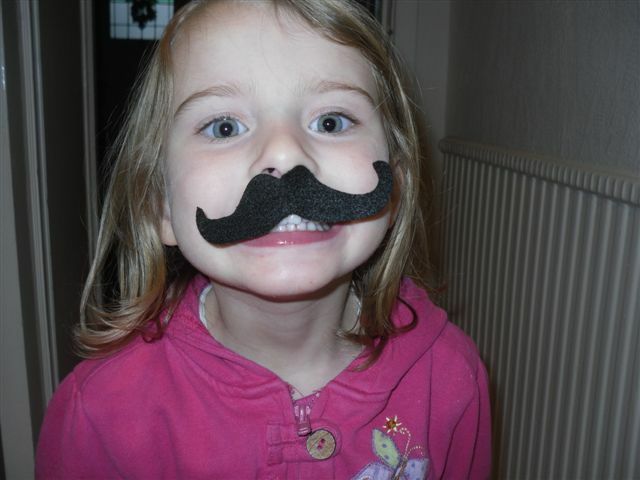 The UK is awash with moustaches at this time of year (Halloween/ bonfire night/ Movember). They make people laugh. They transform someone’s face into another context. That context can depend on the style. 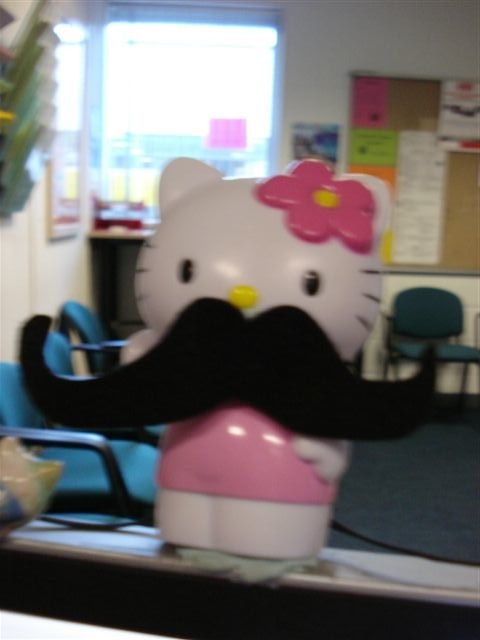 For this year’s Movember, the most popular appears to be the handlebar, unlike the traditional English design. This helps the wearers to feel more comfortable, as it is clearly grown for the silliness. 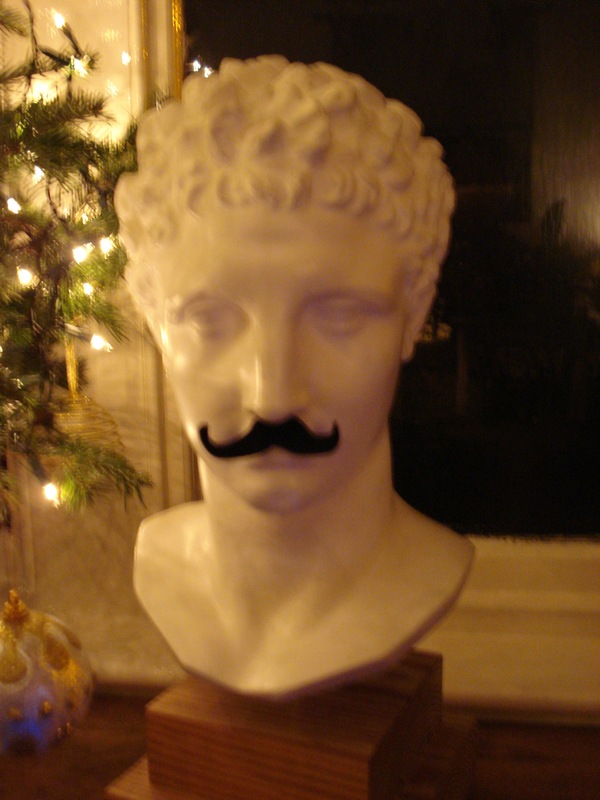 Movember has its roots in comedic value as a way to make people give money for charity. In the same way Comic Relief has been such an enormous success, ‘something funny for money’. Even the Race for Life campaign illustrates women dressing up as fairies as being intrinsic to the whole event. I want to raise awareness of silliness in society at large. I want to get people to act silly whilst fighting for their way of life, not just for a cancer charity. What message would people get by placing moustaches on billboards? Is it anti-capitalist graffiti, idiotic, funny, clever, churlish? There is no guilt attached to putting a handle bar moustache on Cameron et al. This does not need to concentrate on politics. We walk past tens of billboards, advertising and signs on the way to work. We have plenty of material to subvert in our own time and on our own terms. There is someone in my area of Sheffield who has stuck ‘stop eating’ stickers on the stop signs which now read ‘stop eating animals’. It makes me smile every time. By placing a moustache on Keira Knightly advertising Chanel, what are we making a statement about? Is it about the credibility of the star, an attack against the company. Is it about making the dull stuff we ignore everyday a bit more fun and democratic? Does it have to be a grand statement about how seriously we take this kind of stuff? This is inoffensive and fun. No one is humiliated or made to feel bad. Custard pies have been used to primarily humiliate the recipient. They are very effective at creating media coverage. But is humiliation a reasonable or civilised tool for punishment? Questions of fairness are always raised. 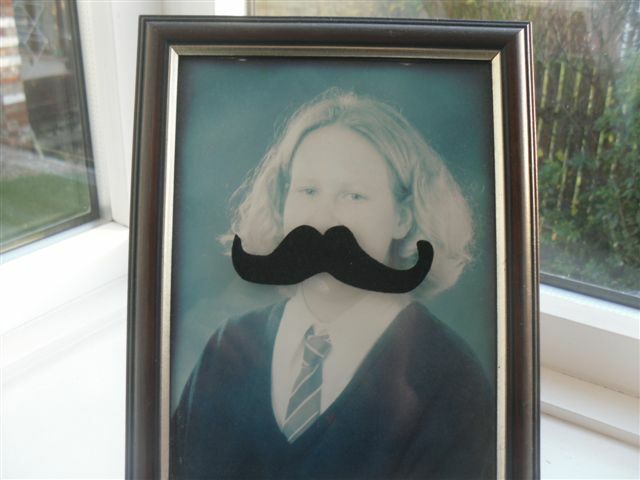 Moustaches are more a gentle piss take. 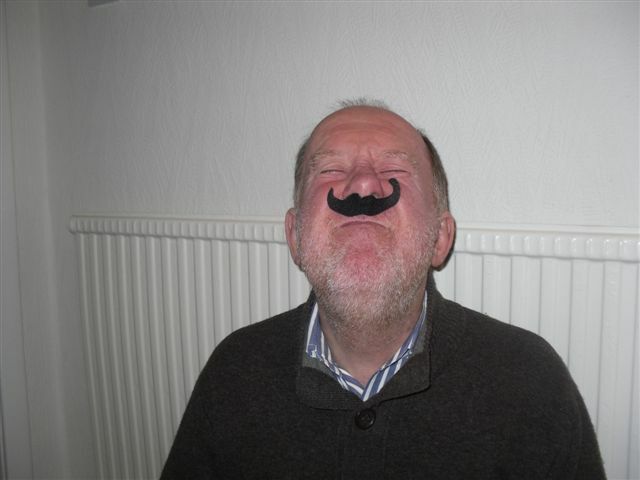 Small acts of rebellion attract, by placing moustaches, eyes, beards and blackened teeth can make someone feel a connect to the physical and human environment. Sent in by Kerry Worley, decorating her work space. happy joy! Hermes, I wonder what he is trying to tell us. Sent in by Chris Jones. 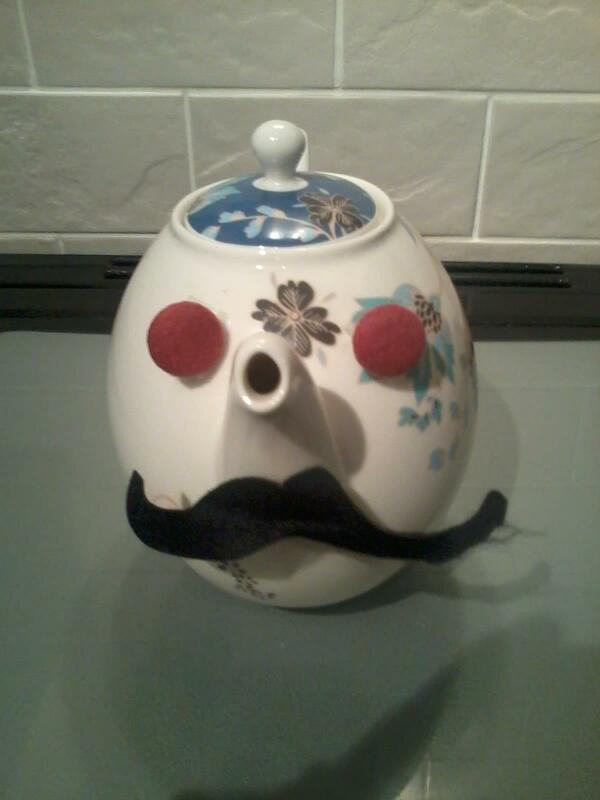 Mr Teapot, sent in by Mrs Lucy Scarborough. The Lapish family have been having fun. Thank you Auntie Janet, Uncle Mike, Orin and Sally. These delightful puns have been created by Darren Nixon and Nicola Dale. Photoshop eh? Christmas stuff I have made!